YAOUNDÉ, CAMEROON (CRUX) - Muslims in Malawi have complained that the nation’s Catholic hierarchy failed to mention the murder of albinos in its pastoral letter issued on Sunday. The letter calls for a “new era” in the southern African country and comes ahead of Malawi’s 2019 elections. However, it also comes just a few weeks after a Catholic priest was arrested in connection with the murder of a man with albinism. Albinos are often targeted by witch doctors throughout sub-Saharan Africa, and murdered for their body parts, which are used in black magic rituals. “We feel the Catholic Church could have assured Malawians through this Pastoral letter measures they have put in place to protect people with albinism,” said a statement issued by the Muslim Council of Malawi on Sunday. 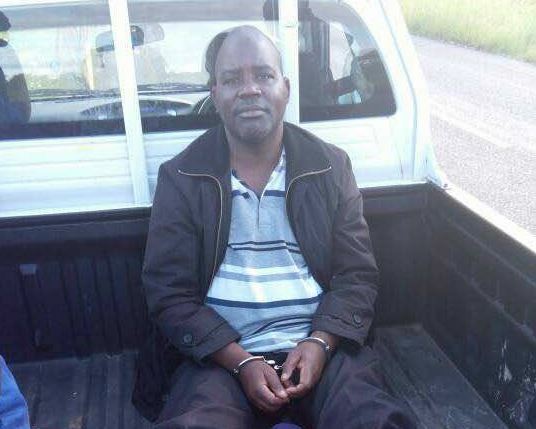 The Catholic bishops in Malawi last week expressed shock and dismay at the alleged involvement of a Catholic priest - Father Thomas Muhosha - in the killing of 22-year-old McDonald Masambuka, a Muslim. He was found buried in Matchinga on April 1 after he went missing in the previous month. Police investigations linked Mushosha to the killing. The priest was arrested on April 16, along with a police officer and a doctor. Police said nine other people had been arrested in connection with the murder, but that investigations were continuing. “The nation may wish to know that Machinga district has registered the highest number of killings of people with albinism,” the Muslim Council said. “We feel that the Catholic Church could have included the missing and brutal murders of people with albinism,” they continued, noting the arrest of Muhosha. Although the pastoral letter did not mention the targeting of albinos, after an emergency meeting on April 20, the bishops issued a strongly-worded reaction to the latest murder, distancing themselves from the accused priest and saying that the Catholic Church has always upheld the sanctity of human life. “The Catholic Church defends the sanctity of life at any point of a person’s life and the killing of albinos is a direct violation of the sanctity of life. To our brothers and sisters living with albinism, we assure you that we continue to support, defend and see to it that you are protected by all means,” the bishops said. “As Catholic bishops in Malawi, we express our deepest sympathy to the family and relatives of McDonald Masambuka and all relatives of victims of a similar nature,” they continued. The bishops then said they were “shocked, dismayed and disturbed with these horrendous allegations” against Muhosha. “We are deeply saddened that our priest has this allegation against him. In solidarity with the Bishop of Zomba Diocese we strongly condemn this barbaric act and will continue to do so,” the statement said. Bishop George Desmond Tambala of Zomba, the diocese where Muhosha has been working, had earlier expressed similar sentiments of shock and dismay at the alleged involvement of a priest in the crime. “In recent times as a diocese, we have spoken out against the abduction and killing of persons with albinism. It is with much sadness that we have learnt of these allegations against a priest in our diocese,” Tambala said in a statement. Muhosha has been released on bail in a move roundly condemned by the Association of Persons with Albinism [APAM]. The president of the association, Overstone Kondowe, has blamed authorities for failing to protect them. “As an association we have lost trust in the departments of government who are entitled in protecting us seeing their involvement in cases of abducting and killing albinos as this is making us to have fear whenever we are walking in our respective areas,” Kondowe said in a statement. He said the release of the suspect is not unconnected with what he believes are high profile individuals who might have ordered the killing, claiming that the priest revealed two names of people in positions of power as having called for the killing of Masambuka. He said delays in justice and light sentences issued to people guilty of abducting, killing, or exhuming the bodies of person with albinism is rendering the country incapable of ending these horrible crimes. Four albinos have been killed in Malawi in 2018 alone, according to the Malawi Police Service, with at least nine other albinos being abducted. Since 2014, at least 22 people with albinism have been killed in the country. The UN Resident Coordinator in the country, Maria Jose Torres, has strongly condemned the resurfacing killings of people with albinism, saying it was retrogressive. The country’s president, Peter Mutharika, has expressed anger at the latest killing, and has promised that all those implicated must be brought to justice. “The investigating officers should continue on this path and no one implicated should be spared,” the president said. Malawi’s bishops have said justice will have to take its full course. “Again, we want to emphasize that we will not be party to any obstruction of justice and we pledge our prayers that there will be justice for all,” the bishops wrote in their statement.